A purchase that pays for itself! The entertainment® fat-book-of-coupons is now an app. 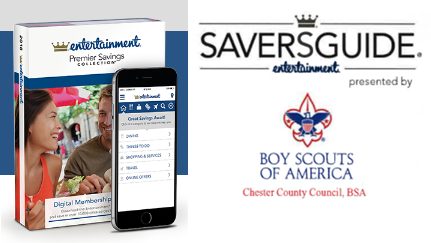 Thousands of offers locally and nationwide, hundreds of dollars in savings, and it supports Scouting in Chester County Council! $10 pays for your Online membership valid through December 31, 2018.